How much is Phillip Soven Worth? Phillip Soven net worth: Phillip Soven's net worth is $800 thousand dollars. Born in Florida, Phillip Soven began wakeboarding when he was in elementary school, and turned pro when he was eleven. Nicknamed "Iceman", by his fellow competitors, he is known for being stoic and focused during competition. 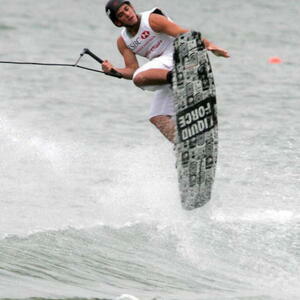 At 23 years old, he was the top ranked wakeboarder in the world. He has won the World Championships twice, the Pro Tour, and the King of Wake contest. He became the first wakeboarder to win the Pro World title, the King of Wake title, and the WWA World Series title in the same year, when he clinched all three prizes in 2007. He has multiple endorsement deals, and has launched a series of successful business ventures. He lives in a large house on a private lake, and was one of the cast members of the MTV reality series, "WakeBrothers" with his brother Bob Soven which began in airing in August of 2012.